It’s not too late to join a High School Special this summer! 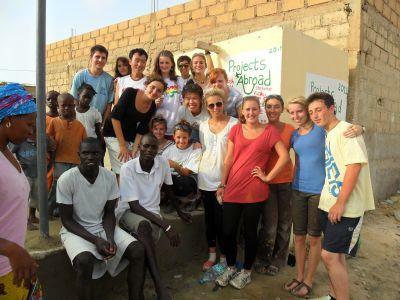 Volunteer with Projects Abroad on the High School Special programme. If you’re still without plans for the summer, then perhaps you should consider taking part in one of our High School Specials. There’s still time to sign up for these projects, which are specifically designed for ages 16-19 and run for 2-4 weeks during the summer holidays. Volunteers live and work with other young people from all over the world and have the opportunity to get involved in observational and hands-on work. Evenings and weekends are spent enjoying activities and outings organised by our in destination Projects Abroad staff. There is a wide selection of projects to choose from so you’re certain to find something that appeals to you. With over 70 projects to choose from, just some examples of the wonderful placements on offer include Conservation in Fiji, to Medicine in Ghana and Care & Community in Vietnam. There’s also Human Rights in South Africa, Archaeology in Peru and Football in Ghana to name but a few. We also offer two High School Specials in Romania – Classical & Medieval Archaeology and Journalism. These are ideal options for those wanting a volunteering experience a little closer to home. Sign up now for the opportunity to effect meaningful change and learn about some of the global issues faced by developing countries while gaining new skills to add to your CV. Check out all the High School Special projects here.